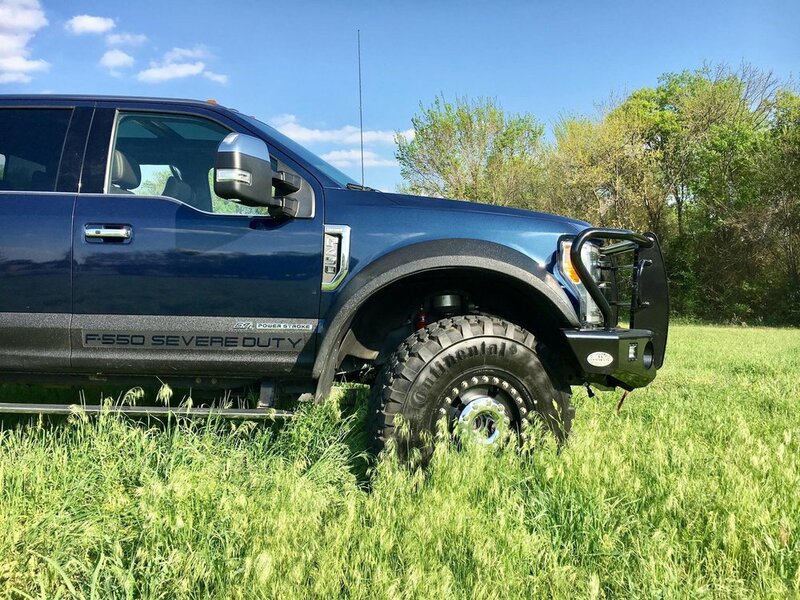 DBL designed and developed our own unique fiber glass blend fenders that bolt directly to the F-550 or F-450 (available for 2017, 2018 and 2019 Super Duty trucks). Wide enough to run 42” tires with no lift. 3/16 inch sun fade resistant rock guard liner. Fenders can be color matched to your specific vehicle upon request.